Today, I'm so excited to reveal the second of two whole-cloth quilts I launched this week! (You can read about the first one here.) I've been collaborating with a few designers to design quilt tops for the shop, which I then have digitally printed onto fabric and turn into finished quilts. You can read more about my thoughts on whole-cloth quilts and why I've been exploring them here. 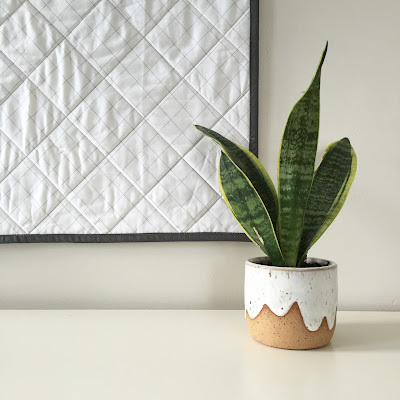 The second quilt in this collaborative series was designed by Kelsey Boes of Lovely and Enough. 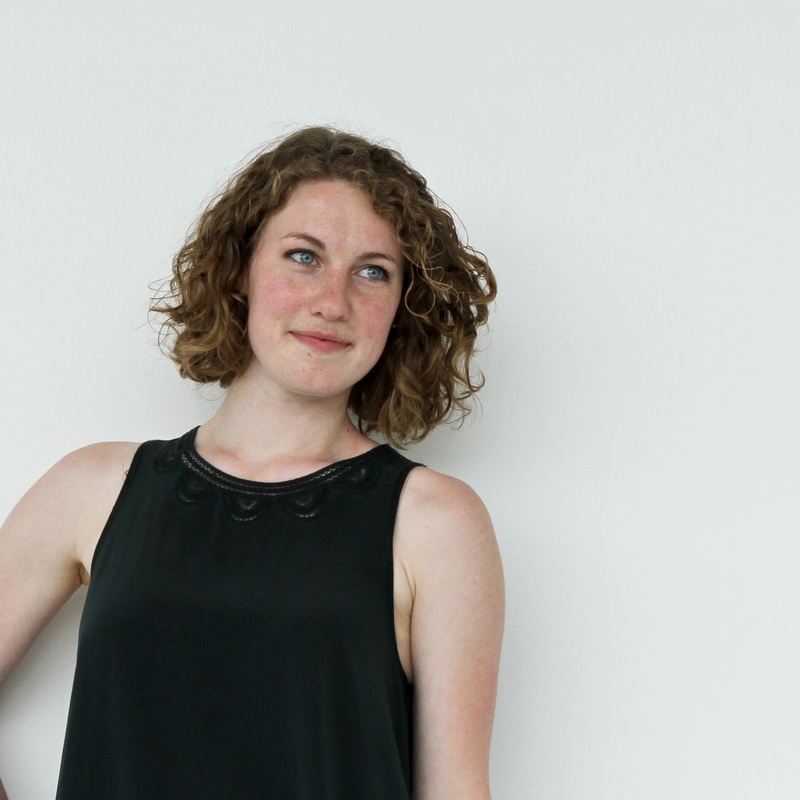 Kelsey is a quilter, textile designer, and PhD student. 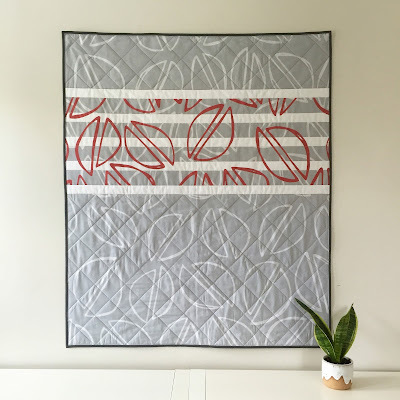 She designed the Pistachio Quilt for the shop, which features her hand-drawn motif in an elegant gray, white, and red palette. The quilt is now in the shop and will be made to order. 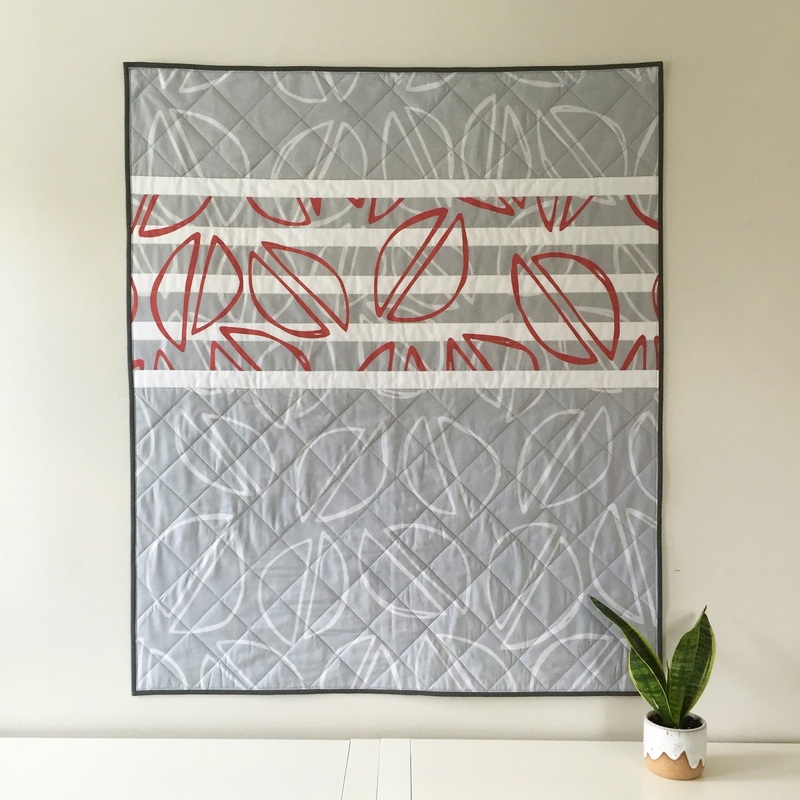 Please read on to learn more about Kelsey, what store she'd love to sell her quilts in, and her process for designing this quilt. Caitlin: Can you tell us a bit about your background and how you came to design fabrics and quilts? Kelsey: My love of textiles began with a pair of knitting needles from Disney World when I was eight, and has morphed and blossomed unimaginably since with encouragement from my mom. Fabric design has been the most recent adventure. 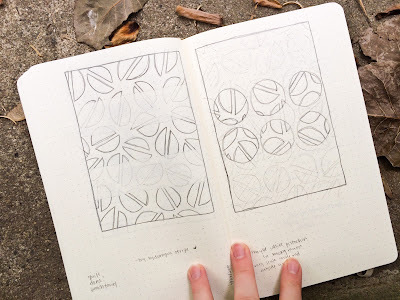 Just two years ago, I stumbled upon Leslie Keating’s Hand-Printed Fabric Swap online and printed my first fabric design, Drunken Circles, with a stencil and embroidery hoop. That next summer while studying abroad, I took a textile silk-screening class for a month and fell in love. Come fall, I wheedled an independent textile design course out of my advisor and transformed it into a senior exhibition the next spring. It’s a year and a half later now, and I have never looked back. C: Tell us a bit more about the degree you're pursuing. How do you balance your creative time with your course load? K: I’m a nerd. I am currently pursuing a PhD in Fiber and Polymer Sciences at North Carolina State University. Learning about topics as far reaching as dirt-masking carpet fiber shapes, wrinkle release treatments, and color vision has only enhanced my interest and passion for fabric. This semester, especially, I am known to spew tidbits from my most recent lecture to anyone who will listen (or can’t escape). Balancing creative time with my course load is tricky and lately has involved umpteen sketch breaks during proposal writing and lab reports. I find a little creative break is the best way to rejuvenate me before hitting the books again (and a little book studying is the perfect way to energize me to sew!). C: How would you describe your aesthetic? What motifs and colors do you find yourself drawn to? K: I am a stickler for clean design, which more recently has pushed me toward grays, white, and red. I am also obsessed with midcentury modern furniture: clean lines and eye-catching angles. If my quilts could be sold just one place, I would choose Room & Board. When I’m dreaming up a new quilt, I imagine I’m standing on the first floor of Room & Board in Chicago, and I try to picture how the quilt would look hanging above the Eames chairs and minimalist table there. If the quilt fits, it’s a winner. C: Can you describe your workspace/sewing space in Raleigh, NC? K: My workspace is in flux right now. Although I mostly sew in my bedroom, I feel most inspired to sketch in the gorgeous modern library at school. With rather poor light at home, photographing for the blog happens across the city, from the library to the warehouse district to a panel of beadboard tossed on the balcony. In fact, my favorite new way to snap quick pics is rolling the butcher block kitchen cart over to the window and pulling the white curtains around for extra reflected light. I'm in my bedroom right now actually! I just assembled a new desk this weekend so that I can have my sewing machine set up at all times. 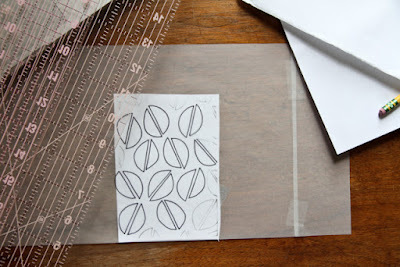 I do believe that sewing productivity is dependent on having good work flow with stations for cutting, pressing, and stitching all at the ready. Now, I have two of the three! When I want to truly get in the zone, I pop up the antique wooden ironing board that is propped against my wall, and then I am set to go for hours with Netflix as company. C: Tell us about the gorgeous Pistachio quilt you designed for Salty Oat! What was your inspiration and how did you decide on a design? K: Thumbnail, thumbnail, thumbnail. Ms. Tank would not allow me to begin a printmaking assignment until I’d drawn at least six thumbnail sketches, her theory being that your first idea is likely not your most developed. I have carried that practice with me and draft multiple versions of a project before beginning. Sometimes I circle back around to my first strokes, but often my mind wanders, and I end up in entirely new territory. The pistachio quilt was seven of nine. 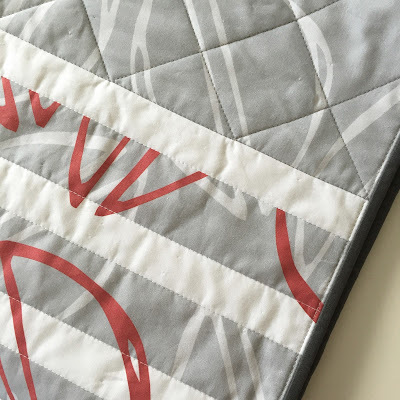 Experimenting with transparency and seeking a graphic gender-neutral quilt, the design morphed a fair amount moving from paper to computer, finally landing with a red overlay and five minimal stripes. C: Where can readers find you online? K: You can find me online at LovelyandEnough.com, as well as LovelyandEnough.Etsy.com, or follow me on Instagram. Thank you so much to Kelsey for sharing a behind-the-scenes look at her creative practice! You can now find the Pistachio Quilt for sale in the Salty Oat shop.